Alison Louise Balsom (born 7 October 1978) is a British trumpet soloist, arranger, producer, music educator, curator and spokesperson for the importance of music education. Balsom was awarded Artist of the Year at the 2013 Gramophone Awards and has won three Classic BRIT Awards and three German Echo Awards, and was soloist at the BBC Last Night of the Proms in 2009. Balsom has been awarded Honorary Doctorates from the University of Leicester and the University of East Anglia, and is an Honorary Fellow of the Guildhall School of Music and Drama. Balsom was born in Hertfordshire, and is the daughter of William and Zena, and sister of Richard. She attended Tannery Drift Primary School in Royston, Hertfordshire, where she started taking trumpet lessons from the age of seven, followed by Greneway Middle School and Meridian School, whilst also playing in the Royston Town Band. Subsequently, she took her A-levels at Hills Road Sixth Form College in Cambridge. She studied at the Guildhall School of Music and Drama, the Royal Scottish Academy of Music and Drama, the Conservatoire de Paris, and with Håkan Hardenberger. 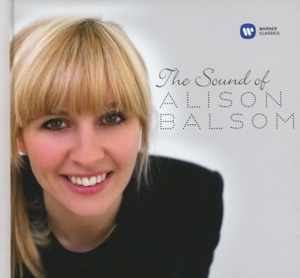 Balsom appeared on BBC Radio 4’s long-running Desert Island Discs programme on 4 October 2015. Balsom has been a professional solo classical trumpeter since 2001. She is a former BBC Radio 3 New Generation Artist, during which time she performed much of the major concerto repertoire for solo trumpet and orchestra with all of the BBC Orchestras and she released her debut album with EMI Classics in 2002. In 2005, she released her second disc, Bach Works for Trumpet as part of a contract with EMI Classics. In 2006, Balsom won 'Young British Classical Performer' at the 2006 Classical BRIT Awards and was awarded the 'Classic FM Listeners' Choice Award' at the Classic FM Gramophone Awards. She won 'Female Artist of the Year' at the 2009 and 2011 Classical BRIT Awards. Her third album (the second disc in the EMI contract), Caprice was released in September 2006, and her Italian Concertos disc was on the list of New York Times albums of the year. Balsom was a soloist at the 2009 Last Night of the Proms, performing, among other pieces, Haydn's Trumpet Concerto with the BBC Symphony Orchestra and a jazz arrangement of George Gershwin's "They Can't Take That Away from Me" with mezzo-soprano Sarah Connolly. In collaboration with playwright Samuel Adamson Balsom devised Gabriel, a play using the music of The Fairy-Queen and other pieces by Henry Purcell, which she performed with actors and The English Concert as part of the 2013 summer season at Shakespeare's Globe. 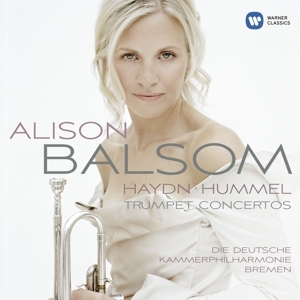 Balsom was the principal trumpet of the London Chamber Orchestra. Her main trumpet is a Malone-converted Bach C Trumpet. Talking about her natural trumpet playing in 2014, Balsom says, "I have been playing since I was in the 3rd year at the Guildhall School of Music and Drama – so since I was 21. I just fell in love with this instrument as soon as I started learning it, as it makes total sense of the whole Baroque era in terms of phrasing, colour and the difference in keys and certain notes of the scale, which you lose on a modern instrument such as the piccolo. I play various different makes but my favourite is by Egger of Switzerland." She is a Visiting Professor of Trumpet at the Guildhall School of Music and Drama. In 2014, she returned to BBC Young Musician of the Year as a presenter of the category finals and semi-final of the competition alongside Miloš Karadaglić.